Lim has been appointed physician-in-chief and chair of Abington - Jefferson Health's Department of Radiology, having previously served as section head of body MRI, cardiac CT and cardiac MRI. “Dr. Lim is committed to keeping Abington – Jefferson Health at the forefront of diagnostic imaging, assuring that our professional staff remains the finest available. 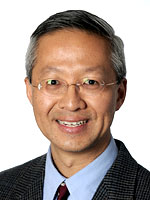 Abington–Jefferson Health is pleased to announce that Philip Lim, MD, has been appointed physician-in-chief and chair of the Department of Radiology. Lim joined Abington Hospital in 2000. A graduate of the University of Maryland School of Medicine, Lim completed his internship in Internal Medicine at Mercy Medical Center in Baltimore. He went on to complete a Diagnostic Radiology residency and a Cross-Sectional Imaging fellowship at Thomas Jefferson University Hospital. He is board certified in Radiology. “Dr. Lim is committed to keeping Abington – Jefferson Health at the forefront of diagnostic imaging, assuring that our professional staff remains the finest available and that these physicians are able to employ the most current and innovative radiologic technology available in the service of our patients,” said John J. Kelly, MD, EVP, chief clinical officer, Jefferson and chief of staff, Abington – Jefferson Health. Lim has served as section head of body MRI, cardiac CT and cardiac MRI at Abington and is president of the Radiology Group of Abington. He has served on numerous committees at Abington Hospital and was the medical staff secretary treasurer from 2013 to 2014. Lim is also an active contributor to various medical publications.